They communicate with others in the style THEY prefer, not their own style. Consider this Communication Profiler School. We'll be looking at four distinct behavioral styles so you can identify the style and adapt your own behavior to elevate your A game in the communication arena. In this video, I will profile CRYTAL, who is conscientious, task-oriented and has an appreciation for established protocols and standards. Then I'll teach you how bring some balance and flexibility into your behavioral style if YOU are a Crystal and how to adapt to a Crystal if she sounds like someone you work with. What you need to know before watching the profile. There is no "right" or "wrong" profile. One profile isn't better or worse than another. They all have strengths and soft spots. The Biggest Secret of Effective Communicators is that they communicate with others in the style THEY prefer, not their own style. Consider this Communication Profiler School. We'll be looking at four distinct behavioral styles. In this video, I will profile SCOTT, who is a warm, steady, reliable type and an outstanding team player. Then I'll teach you how bring some balance and flexibility into your behavioral style if YOU are a Scott and how to adapt to a Scot if he sounds like someone you work with. We are all a blend of all four styles. You are not one personality type. We all have some degree of each of the four behavioral styles. In this video, I will profile IRIS who is a influencer type with profound persuasiveness skills. Then I'll teach you how smooth out your rough edges if YOU are an Iris and how to adapt to an Iris if she sounds like someone you work with. I'll be describing the extreme end of the spectrum in each of these behavioral styles. In this video, I will profile DARREN who is a dominant type with a sharp focus on getting results. Then I'll teach you how smooth out your rough edges if YOU are a Darren and how to adapt to a Darren if he sounds like someone you work with. Before I launch into our first profile I want to lay some ground work. Have you ever noticed there are some people you jive with better than others? Whether it's a co-worker, friend, or family member you know he/she "just gets me." It's like they know what you're thinking. We like people who are similar to us, who have a style similar to our own. This is especially true regarding our communication styles. We gravitate toward people who think like us, like the same pace we do and have similar priorities. We seem to be "on the same page" with some people more so than others. What are the chances that everyone you work with have style just like your own? Slim to none! At work, effective communication is important with everyone involved - ALL stakeholders. That's how things really get done. It's how we achieve our objectives and have fun doing it, all while bringing stress and tension levels down. When communication breaks down, tension and stress rise. This week introduces my new series: Secrets of Effective Communicators. Welcome to the 5th and final week of the Fall Balance Series, designed to bring you more work-life balance in 30-60 days. Last week we learned the phrase "I don't have time" is BS! This week is especially for you if you're making progress, just not as fast as you'd like. Wow! That's a very different challenge, a much higher quality problem, than "I don't have time." You're in a much better spot already. Congratulations. We've talked about what a "10" looks like, a weekly planning process, and how to fit all this stuff in. We've covered a lot in this series! Now you know what you want, you've started chunking it down, you're planning it out, scheduling your success, and deliberately spending your time on your highest priorities. But you're not seeing the progress you want as QUICKLY as you want it. Stop and think about "extras" for just a moment. Welcome to Week 4 of the Fall Balance Series, designed to bring you more work-life balance in 30-60 days. Last week we learned how to make progress on your "10." This week is especially for those of you who say "I don't have time." If you're thinking "Stacie, it's great that I've examined what a "10" looks like in each area of my life and that you suggest this weekly planning process but I really don't have time. I'm super busy." I get it. Your job is demanding. Your family keeps you on the road running all over creation. You would love to carve pumpkins with the kids or sip lattes with a friend, go on a fall shopping spree or take a great hike in the beautiful fall weather to bring balance into your life...but you "just don't have time." You're busy. That phrase is woven into how we talk. I get that you are busy. It's a fact. I understand how you feel. Here's where the tough love of a coach comes in. Fall Balance: How Do I Make Progress? Welcome to Week 3 of the Fall Balance Series, designed to bring you more work-life balance in 30-60 days. How do make progress towards that "10?" Today I get to share with you my secret for making great strides in my life. Are you ready? I have a weekly planning process. I know...lightning bolts didn't go off. "Stacie - that's your big secret?" Yes! That is the secret. It's so simple. 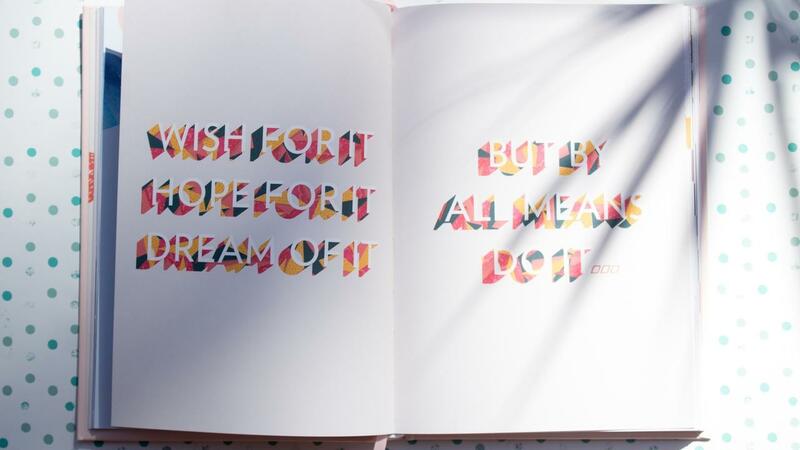 Yet so often we set these big goals then tuck them away somewhere. We still let life take over. There are all these little emergencies, fires to put out. We let things take over versus being deliberate with how we use our time. Before you know it the week has slipped by you yet again. You still haven't made the progress you want. Today's message is simple: Create a ritual around your weekly planning process. Fall Balance: What Does a "10" Look Like? Welcome to Week 2 of the Fall Balance Series, designed to bring you more work-life balance in 30-60 days. What Does Balance Look Like...for YOU? It's a very personal decision about what balance is or should look like. We are all unique individuals. It's helpful to measure things. Here's a tool to help you measure how much balance you have - or don't! You've probably seen The Wheel of Life dozens of times. You may have even filled one out at a seminar you attended or when reading a book. Do it again! This isn't a tool for you to do once, or even once a year, then set aside with a "that was nice." 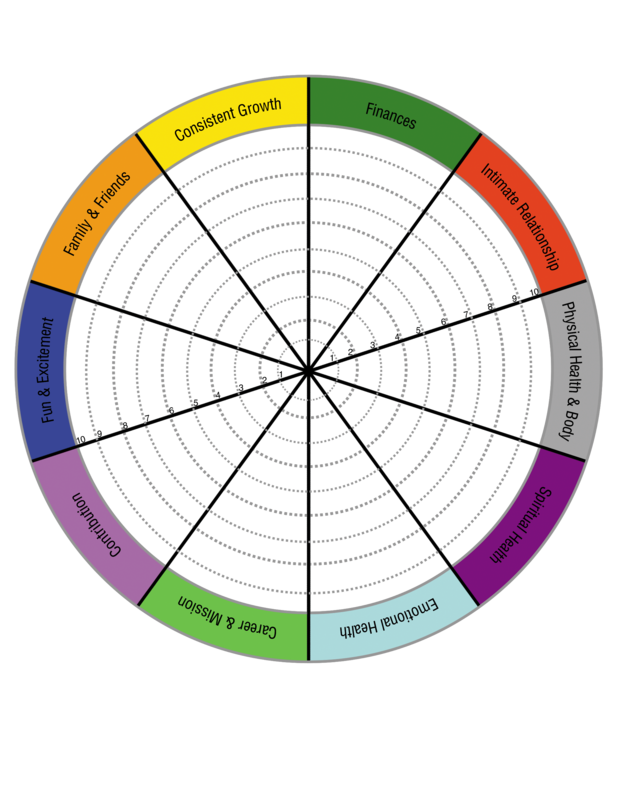 The Wheel of Life is a great tool to use every single month to help you measure balance. Every month as you're closing out the month, fill it out and measure where you are in the various areas of your life. It's the perfect visual representation of balance!